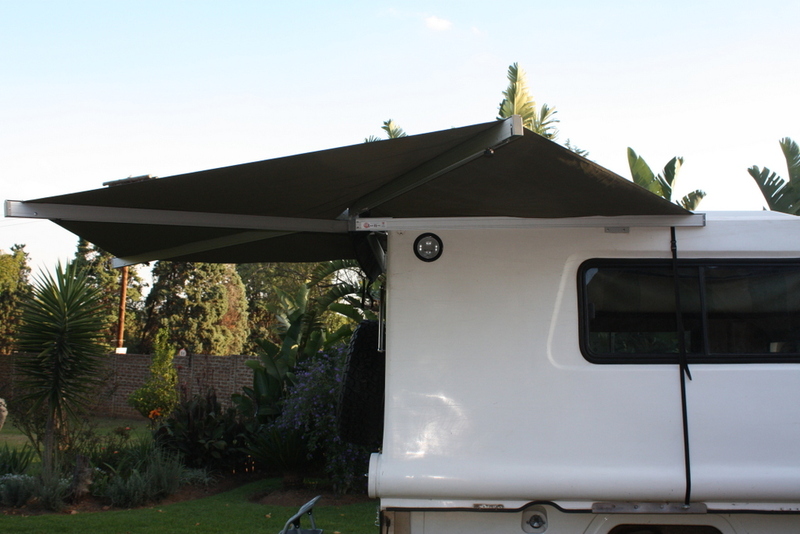 This is a custom made Batwing Awning from Eazi-Awn , as the standard one was too long. 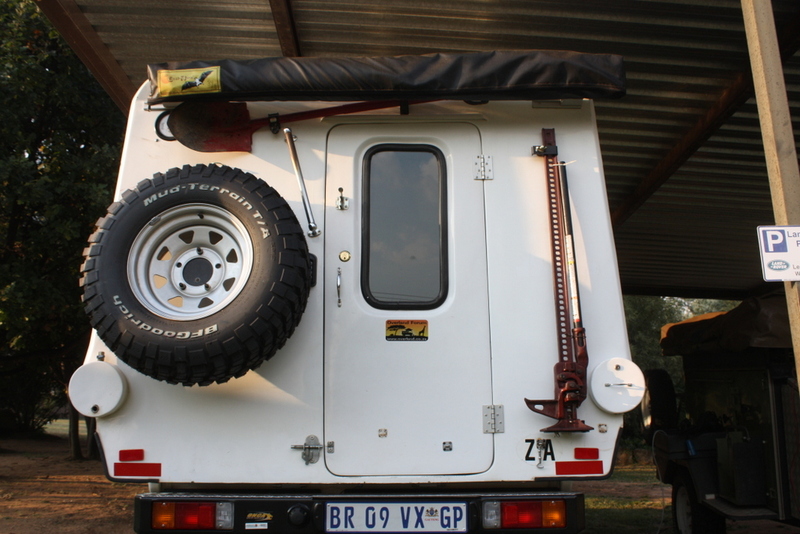 It normally is mounted on the side of the vehicle , but I wanted it on the back , as I was worried about it being knocked off . This has meant that it unfortunately doesn’t provide much cover , but it is good enough to shelter the back door and stove area . Added advantage of the small size is that it should be very stable in windy conditions.